Just before Christmas of last year I started following a community of photographers brought together by the fabulous Jasmin Jade. I have learned so much about editing and 'unposed' photography from this group of women and men. Last month one of the members posted about starting a traveling dress project and I asked to be involved. This project was started by Jessie of JRD Photography in Ohio and includes 11 photographers across the US. I was the 3rd photographer to photograph the dress. I received the dress from Oklahoma last week and immediately started thinking about a location. Lately, I have been pushing my photography brand to reflect my love for adventure and beautiful locations. I live along one of Idaho's most wild and scenic rivers and I am always on the hunt for beautiful, unique locations in the Salmon River Canyon. There is a place upriver where you can find amber colored garnets and the flowers on this dress reminded me of the garnets I have picked up there, so it seemed only right that Ruby Rapids was the place for this dress. My model was the beautiful Sarah. 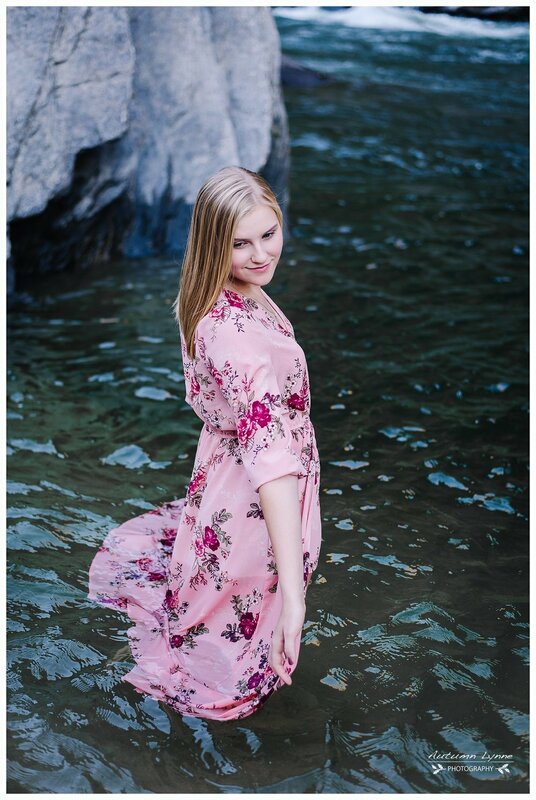 We spent a vary warm evening (over a 100 degrees) photographing the dress at Ruby Rapids and then drove down river to get a few sunny pictures before the sun disappeared for the evening. I am always a little jealous of those golden hour photographers because golden hour doesn't exist at the bottom of a canyon. So the photographs at the end of this post are my canyons 'golden hour'. I put the dress in the mail to Maine on Thursday and am excited to see another's creative take on this project. Disclaimer: This project is in no way affiliated with Christy Smith and The Traveling Dress Project, LLC.